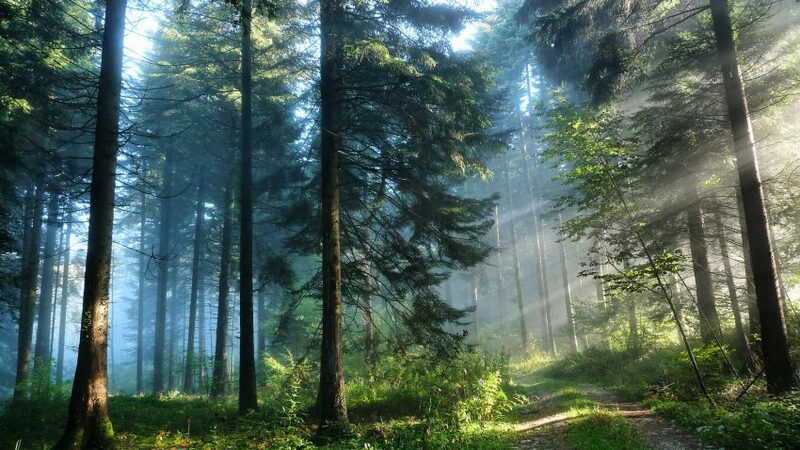 The world’s forests mitigate global warming by taking up the greenhouse gas carbon dioxide (CO2) from the atmosphere. However, a new study by ACES researchers published in Global Change Biology shows that many effects of climate change on forest mortality due to, for example, frost or droughts are still not accounted for in climate models. As a result, these models could be overestimating the amount of carbon taken up by boreal and temperate forests, calling the future role of forests in the mitigation of climate change into question. The land surface has been acting as a carbon sink, i.e. it has been taking up CO2 from the atmosphere, thus mitigating climate change. However, the sustainability of this carbon sink is under debate as we know little about the so-called carbon turnover processes, i.e. processes that lead to the loss of carbon from the vegetation to either soil or atmosphere, such as deterioration of tree components, known as litterfall, herbivory, loss of forests due to extreme events, and others. “It is hardly possible to measure the carbon lost by this variety of turnover processes by inventory studies alone, since these processes act on very different timescales, involving short-term extreme events and long-term responses, and at various spatial scales, affecting single biomass compartments, individual trees, or even whole ecosystems,” says Martin Thurner, post-doctoral researcher at ACES and first author of the study. When the scientists compared estimates based on satellite remote sensing data with simulations by different global vegetation models (GVMs), which allow us to predict the impact of climate change on vegetation and which are components of climate models, they found that most of those GVMs underestimate the rate of carbon being lost from trees to soil or atmosphere in boreal and temperate forests, meaning that they overestimate the amount of carbon stored in forest vegetation. “Our study shows that mortality processes like frost stress, drought stress, or insect outbreaks need to be considered by climate models for representing interactions between climate and the carbon cycle. In the current form, these models will likely overestimate the future capability of forests to sequester carbon and mitigate climate change” says Martin Thurner.